What guidance does colour have for your wellbeing? A Colour Essence Reading helps establish your true essence, identify your current challenges and clears the way so that you naturally align with who you truly are. So what’s your favourite colour? What does your choice of colour say about you? How can you use it to your advantage? You’ve done some self work but struggle to find quiet time to be consistent and implement the tools. My Colour Essence method gives you action steps you can utilise simply and easily in many ways across your whole day so that you naturally align with your soul essence and inner wisdom to make better choices in your work and daily life. 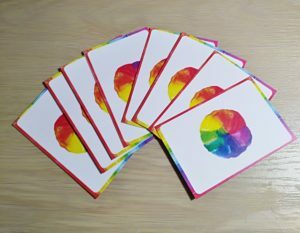 Combined with the answers to a simple set of questions I tap into your energy and use a Colour Essence Reading to establish your true essence, identify your current challenges and clear the way with a chakra balance so that you naturally align with your soul essence. Book or Email Me Here!